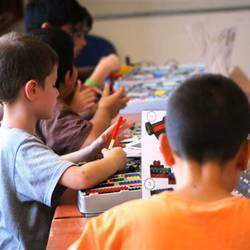 Young Engineers education programs rationally adopt an edutainment (the combination of education and entertainment) approach. We have developed a variety of different programs that can be used to teach the most important subjects. 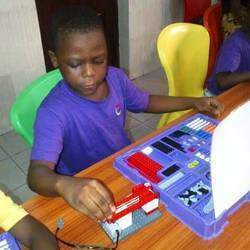 Children joining our educational community can happily learn the likes of arithmetic, physics, and mechanical and software engineering. We have developed special programs and workshops suited to children at both ends of the learning spectrum, from gifted children to those with learning disabilities. Unlike traditional teaching methods, our use of stories, experiments and demonstrations ensures that all children joining our education programs will learn while they have fun. In fact, they’ll have so much fun they may not even realize they’re learning. 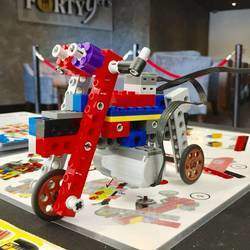 Our programs and workshops are completely unique, using LEGO® brick kits specially designed for the Young Engineers community and lesson plans that are continually updated to ensure effectiveness. These education programs are as fun and exciting as they are educational, providing the right mix of edutainment, something we are proud to provide. Looking for a truly special birthday party for your child? Why not try the fun and excitement of a Young Engineers party. Contact us for more info.